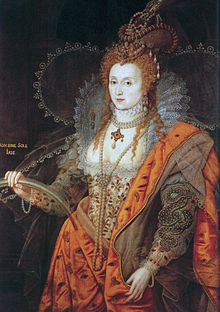 HomehistoryHistorical Reads: Did Elizabeth I Really Hate Other Women? Historical Reads: Did Elizabeth I Really Hate Other Women? While the Queen clearly enjoyed her power, she perhaps also keenly felt the loss of the kind of social and emotional intimacy that all people, and especially women, desire in a family. And yet she had no mother or father, no siblings, no husband, no children and her (Tudor) cousins all had claim to her throne. Historian and author Antonia Fraser said, “Her [Elizabeth’s] household resembled a large family, often on the move between residences, and as a family it had its feuds when factions formed around strong personalities. It was not out of malice that Elizabeth opposed her maids of honors’ plans to marry, but because marriages broke up her own family circle.